It is the mission of SandyView Farms to continue our tradition and legacy as a family company that highly values our customers, staff and our own stringent quality standards. Every member of the SandyView team stands behind their work and strives to be helpful, knowledgeable and exceed all customers' expectations. We endeavour to create a clean, comfortable and welcoming environment where our customers can enjoy the warmth of friendly, efficient service. 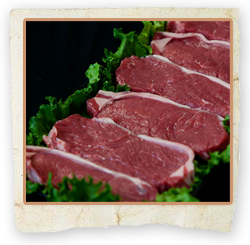 Throughout the entire variety of choices available, all SandyView Farms products are of superior quality, freshness and flavour.